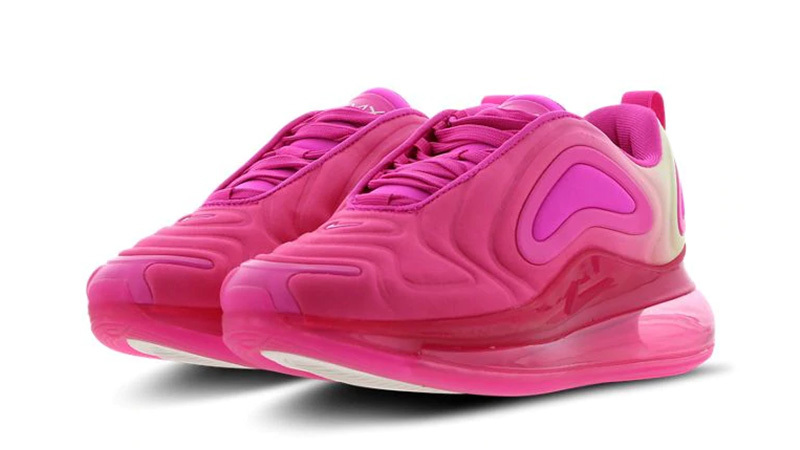 If you are looking for a bold sneaker, then look no further than the bright Nike Air Max 720 Laser Fuchsia GS. This sneaker is coming in grade school sizing only, so if you’re between UK 3.5 and 6, then you’re in luck to cop the Nike Air Max 720 Laser Fuchsia GS. 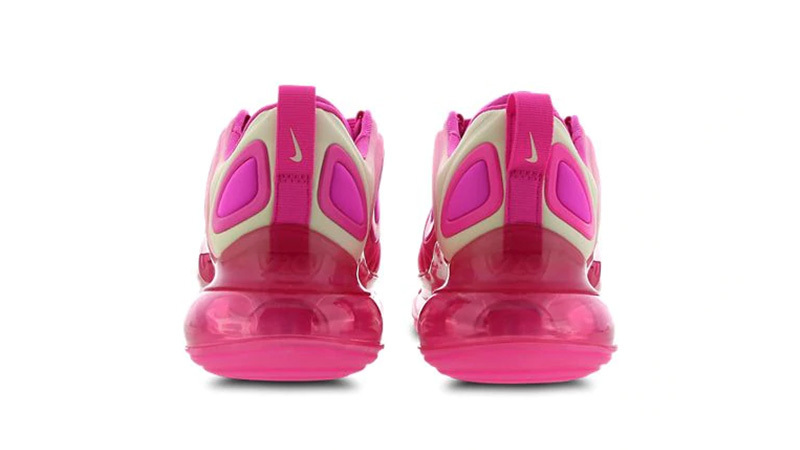 The AM720 has the largest Air bubbles out of all of the Swoosh silhouettes, standing at an impressive 38mm and coming with nothing but futuristic vibes. 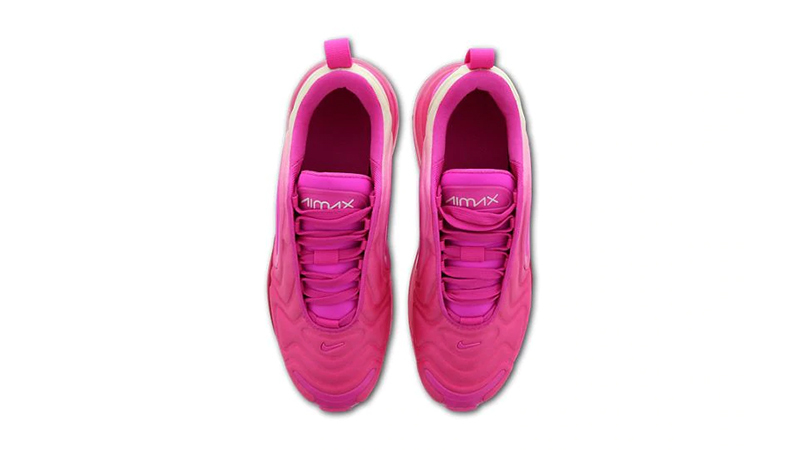 Waves travel along the upper of the Air Max 720, in an indented style, complemented by geometric shapes in matching pink hues, to keep the Nike colourway tonal and bold. Below foot, the Max Air bubble will be making you feel like you’re walking on air, perfect for those who like a comfy ride… And let’s be honest, who doesn’t want that? 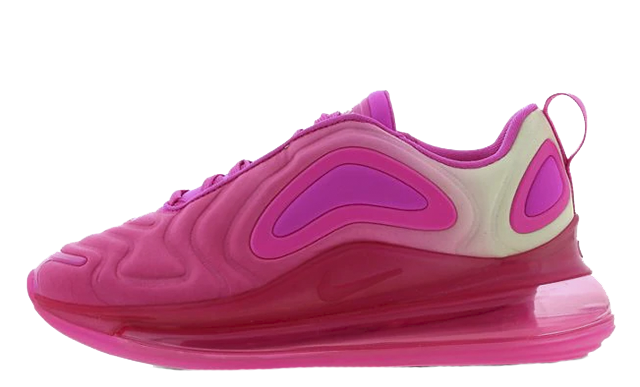 The Nike Air Max 720 Laser Fuchsia GS is available right now for the smaller footed, so if you’re within the sizes 3.5 to 6, then head to the links on this page to shop your pair today!